Ideal for sheet and long cuts. The offset blade pattern allows the snip to cut tighter curves than other blade pattern models. Red grips cut left and green grips cut right. Midwest Offset Aviation Snips Left is rated 5.0 out of 5 by 2. Rated 5 out of 5 by Straycat from Great snips Midwest make the best snips around, made in the USA not Asia, they work with minimum effort and they last! 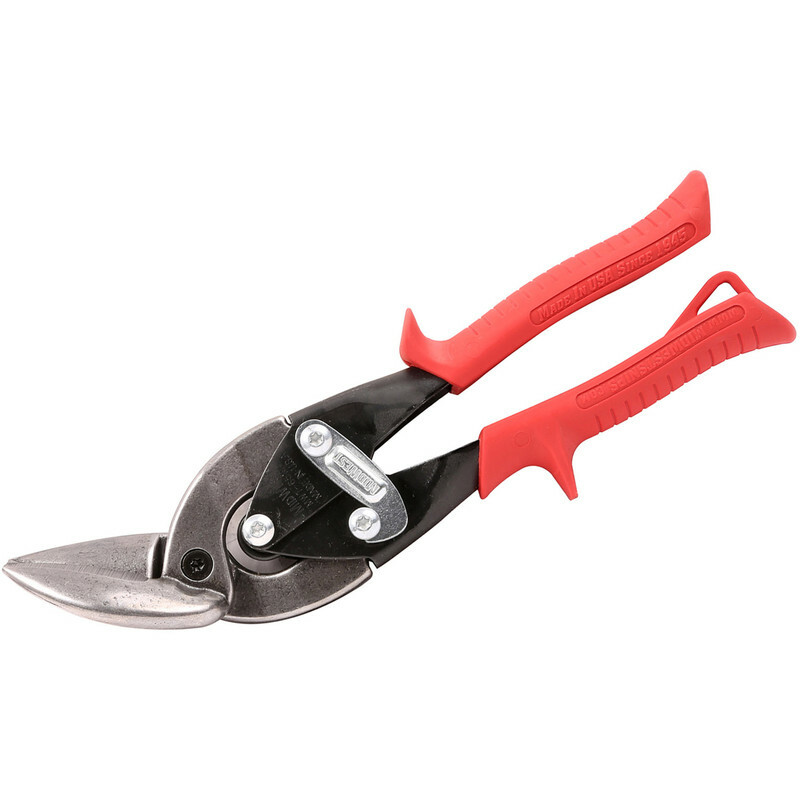 Get red handled left hand snips if your right handed.